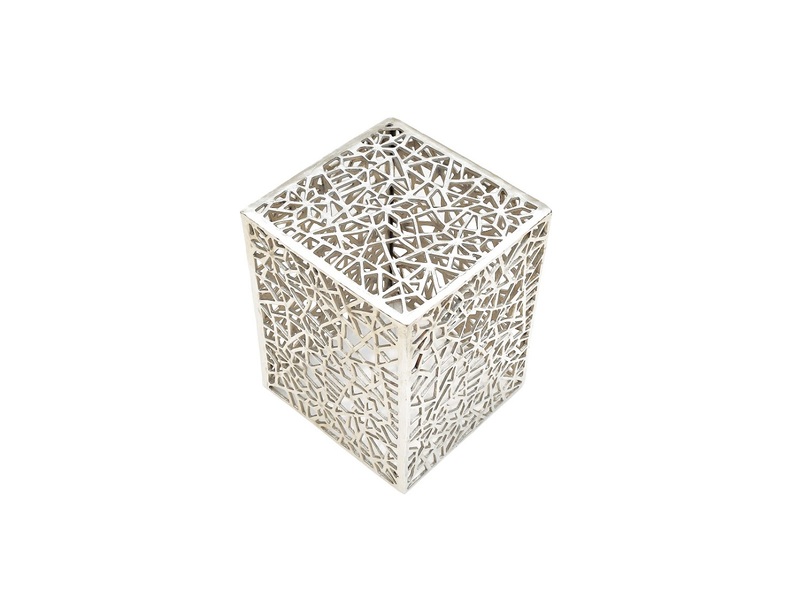 Description: Built like a gilded cube, this elegant end table brings an exuberant, global style to any room in the home. 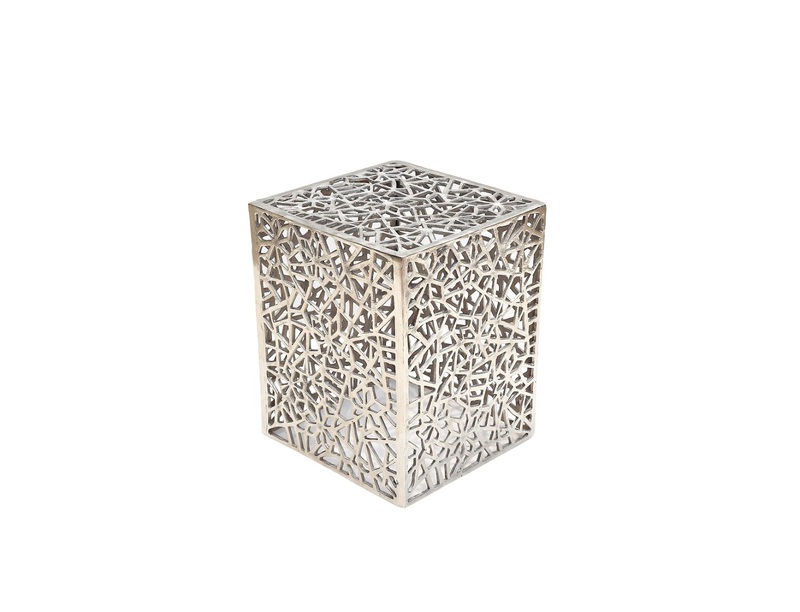 Whether situated by the side a neutral linen couch or used as an accent piece in an airy, modern foyer, the textured abstract nicklel table exudes authentic exotic charm. Finished with a light, silver glaze over the antiqued surface, the versatile table is suited to a wide variety of color schemes and decor styles.